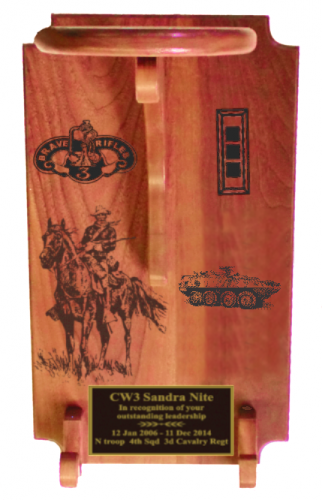 These Cavalry Stetson Displays are produced from solid walnut and are designed to hold a standard Cavalry Stetson with hangers for spurs. 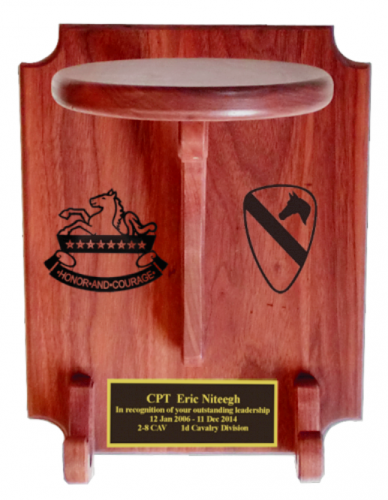 Our Cavalry Stetson Displays include a engaving plate for personalization or can be lasered engraved into the wood with crests, ranks and art. We can also custom design a stetson display to meet your unique needs. 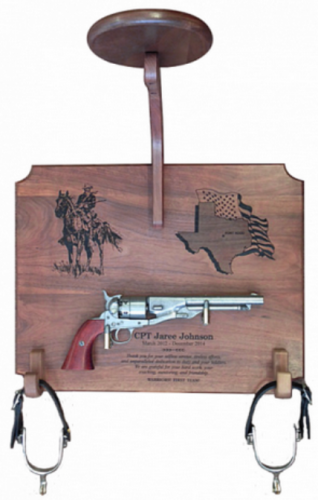 This solid mahogany Stetson Display measures 15" H x 11" W x 15 D. It includes hangers for spurs and a engraving plate for personalization. This is the larger version of our standard solid mahogany Stetson Display measures 20" H x 11" W x 15 D to allow for more room for lasering of crests, ranks, or art. We can cover a large portion of the "background plaque" with laser engraving. 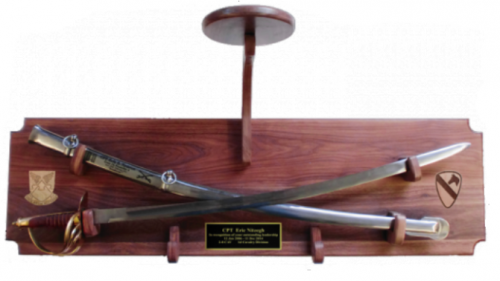 It includes hangers for spurs and a engraving plate for personalization and lasering of crests, ranks or art. UPLOAD your art at check out and tell us where you want it. 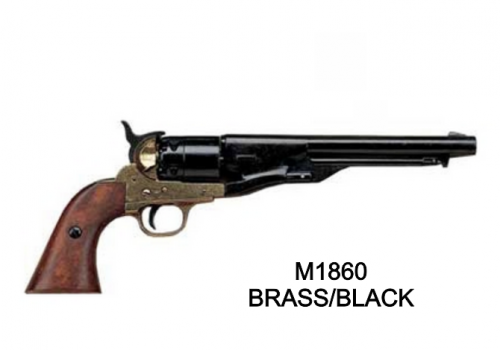 Large Stetson Display with Lasering 20" x 11" x 15"
1) M1873 replica gun captures the classic feel of an Old West cavalry single action revolver and has a 7" barrel. 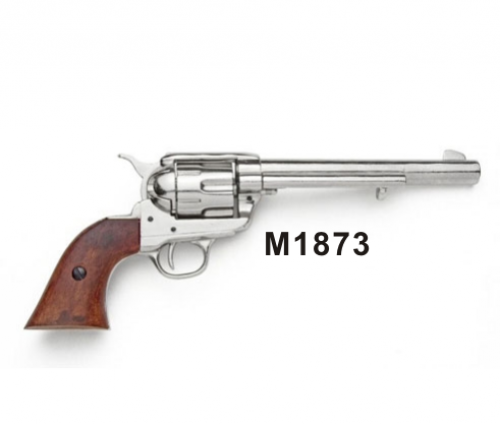 This military collectible has an action that works like the original. 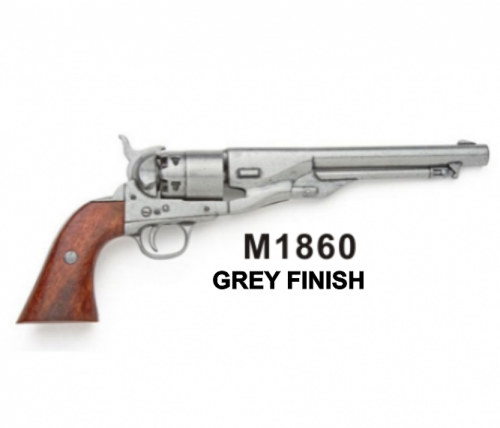 This replica gun has a shiny nickel finish and comes complete with wood grips. This model gun looks like it just came of the plains of the frontier. 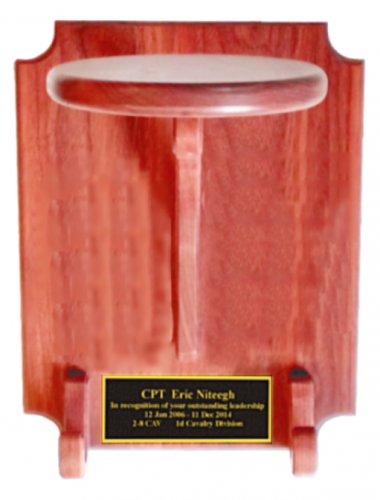 This solid mahogany Stetson Display measures 15" H x 11" W x 15 D. We can laser a large portion of the "background plaque" with laser engraving of crests, ranks, or art. It includes hangers for spurs and a engraving plate for personalization. UPLOAD your art at check out and tell us where you want it. PRICE DOES NOT INCLUDE SABER. Please order seperately..
ALSO Minor assembly required when shipped.